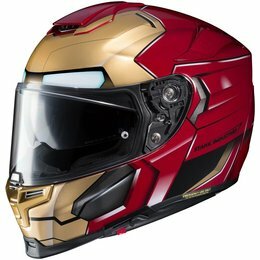 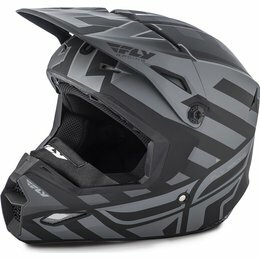 This helmet comes in multiple external shell sizes, all with full carbon fiber and high-rigidity. 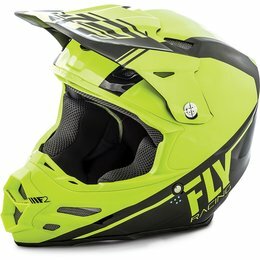 It features an anatomical structure with the exclusive Neck Brace Front Fit (NBFF) system. 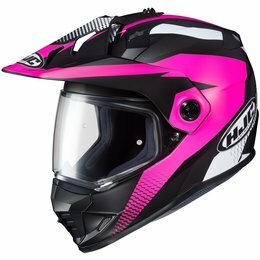 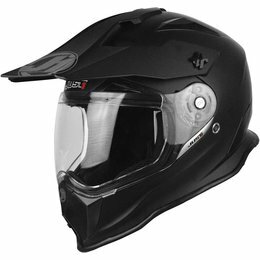 The perfect helmet for all conditions, from long-distance travels to off-road adventures, it combines the comfort and protection of a full face helmet with the functionality, lighter weight and air ventilation typical off-road helmets. 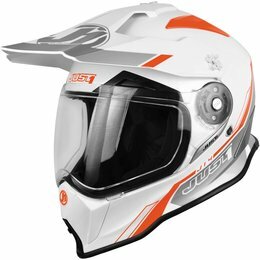 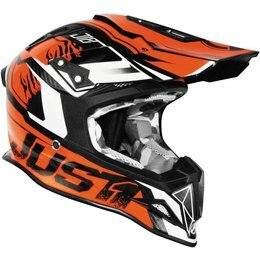 J14 DS is deeply rooted in off-road, characterized by a wide field of view that allows riders to use it with MX goggles. 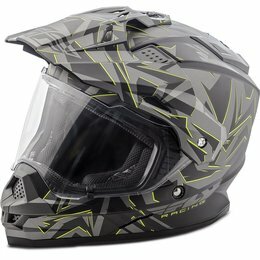 Capture the spirit of adventure with this crossover design ideal for dual sport and adventure riding. 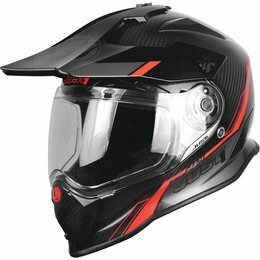 The Trekker offers the versatility of riding with a shield or goggles; and just like the trail ahead, the direction you choose is up to you. 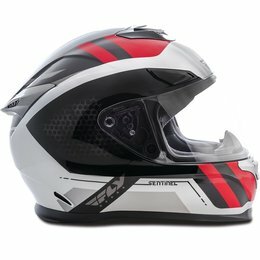 The Kinetic’s list of features is impressive. 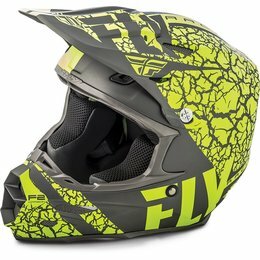 FLY’s entry level helmet features bold original artwork on the exterior that compliments this helmet’s generous ventilation, plush interior, and dual density EPS liner. The F2 Carbon in its standard form is as close to a factory race bike as a helmet can get. 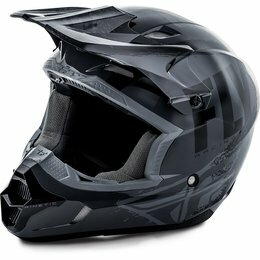 Carbon fiber, Aramid shell construction, and Coolmax interior are just a few of its impressive list of features. 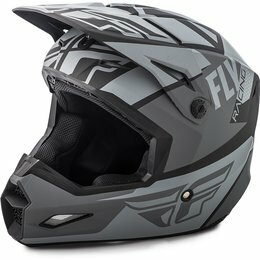 The F2 Carbon in its standard form is as close to a factory race bike as a helmet can get. 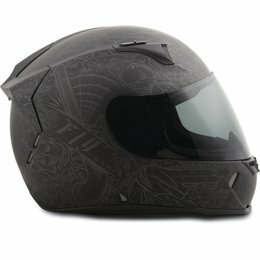 Carbon fiber, Aramid shell construction, MIPS (Multi-directional Impact Protection System) (some models) , and Coolmax interior are just a few of its impressive list of features. 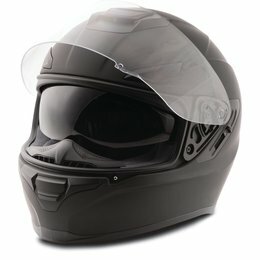 Developed from the ground up to meet the expectations of today’s rider. 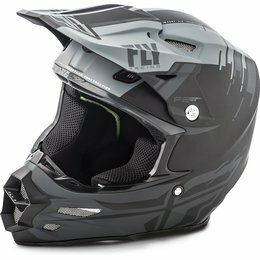 The High-Flow ventilation system maximizes airflow, weight is light and comfort is spot on! 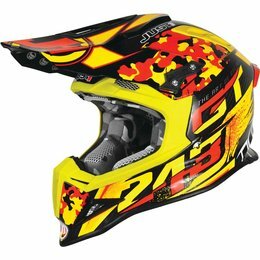 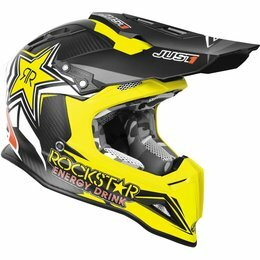 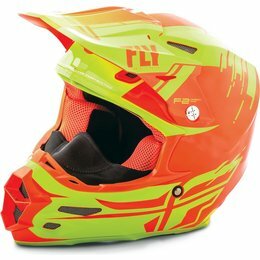 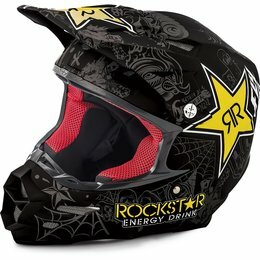 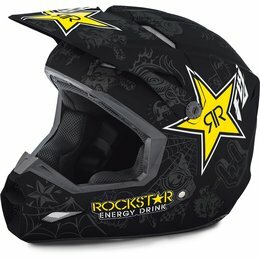 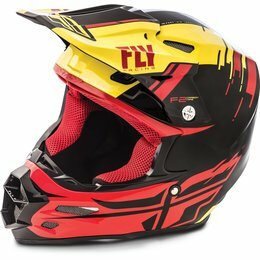 FLY has created the Elite to take the top spot in entry level helmets.